Summer is here, and for many guys, that means battling a season full of sweat. When the temperature outside gets hot enough to fry an egg, you need to wear clothes that work for you, not against you. Here’s a list of fabrics that every guy should wear to battle the heat and keep those pits dry. 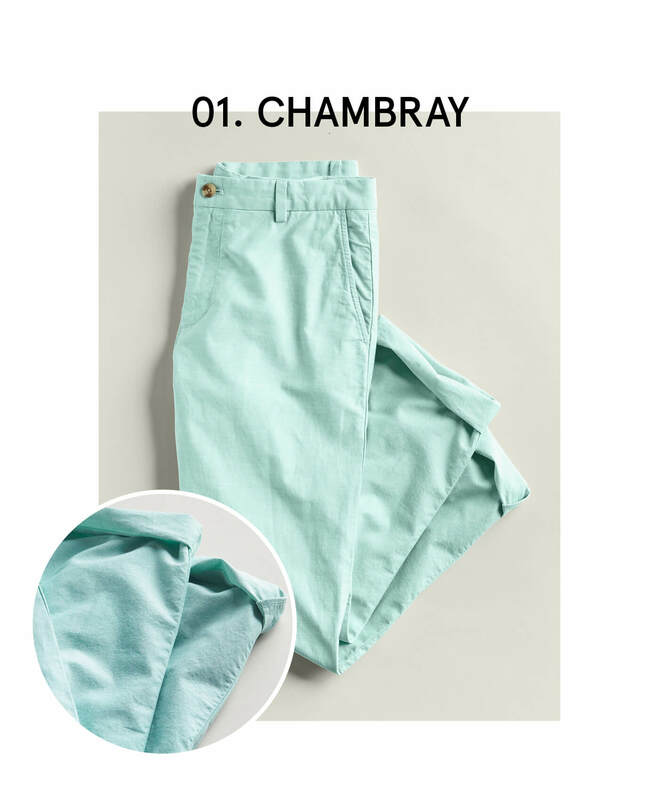 Chambray has an appearance that is similar to denim, but uses a plain weave, which makes it softer and more lightweight. Chambray is great for those times when you want to look a little dressier, but don’t want the weight of an Oxford shirt or denim jeans. Stylist Tip: Wear chambray to achieve a similar look to denim without the bulk. 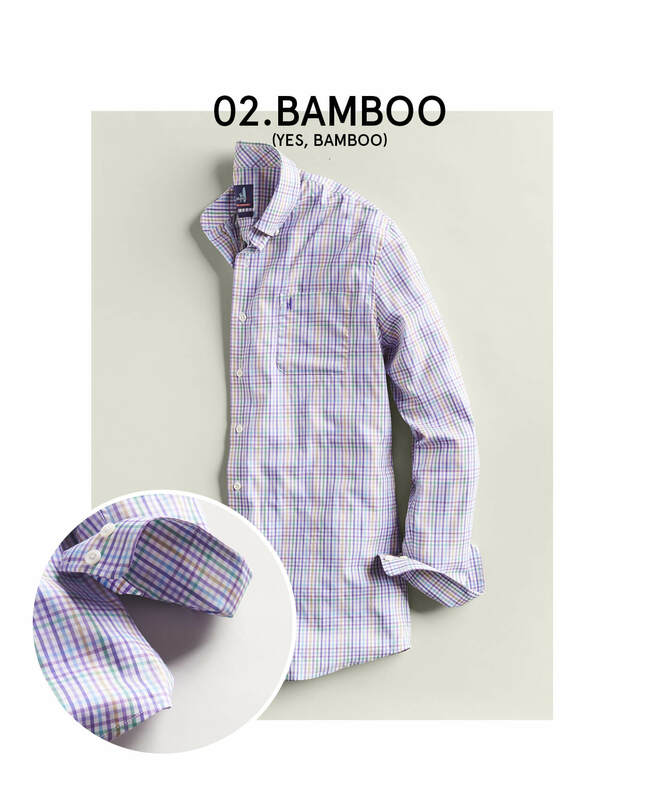 A more recent trend in fabrics, bamboo is an extremely soft and lightweight alternative to cotton. Plus, fabrics made from bamboo are hypoallergenic and eco-friendly—a win-win. Bamboo fabric is very versatile and can be used when you need a cooler substitute to cotton. Wear it if you anticipate a sweat coming on, its moisture-wicking properties will keep you dry. Stylist Tip: Bamboo fabric is not only moisture-wicking, it is also eco-friendly and can be a great conversation piece. 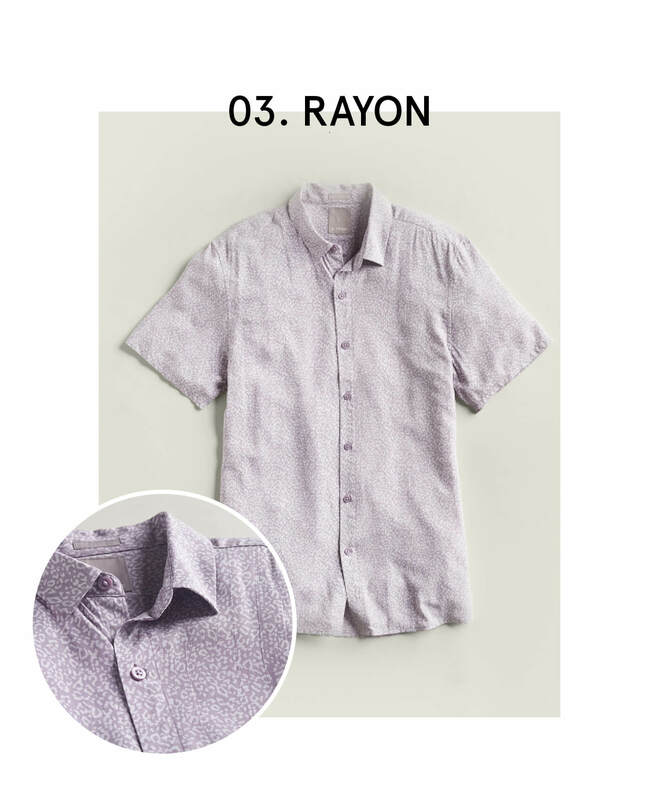 Rayon is a fiber made from cellulose extracted from trees. It can imitate the look and feel of silk, wool, cotton, or linen. Rayon does great in dry heat environments. It won’t be as moisture-wicking as other natural fabrics, like bamboo, but it is a thinner fabric, so will be a solid lightweight option for high temps. Stylist Tip: As a thinner fabric that drapes more casually, Rayon shirts are great in tropical patterns and prints. Sweat-wicking fabrics are usually made from high-tech polyester that has a moisture-absorbing finish. This fabric works to draw moisture away from skin to keep you cool and dry. 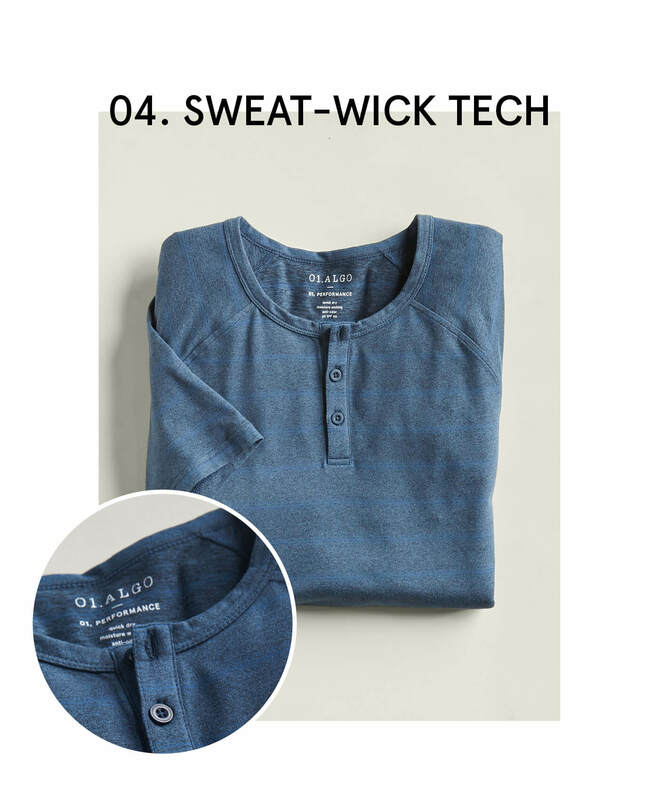 Sweat-wick tech clothing is perfect for working out in the heat and is equally great to wear for casual outings. Stylist Tip: Performance wear can be worn casually as well as to the gym, as long as you do it right. Seersucker is a lightweight cotton fabric that is made with puckered stripes. 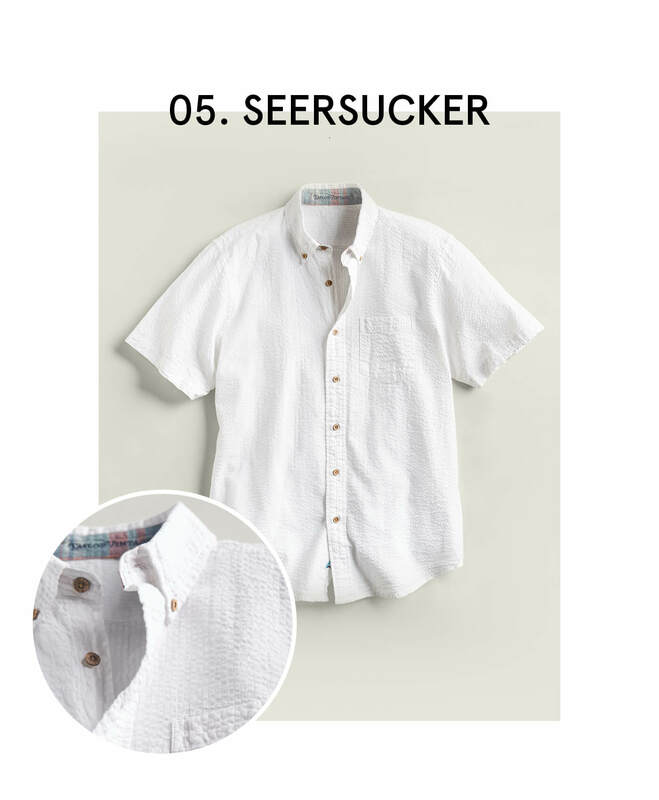 Seersucker is generally seen as a preppy style that is perfect for summer weddings, days spent by the pool, or your next trip to the Kentucky Derby. Stylist Tip: Steer clear of wearing a seersucker tops and bottoms, unless you’re going all out and rocking the seersucker suit. Linen textiles are some of the oldest in the world—people have been wearing it for centuries, and for good reason. Linen is made from fibers of the flax plant and is known for being absorbent and breathable. 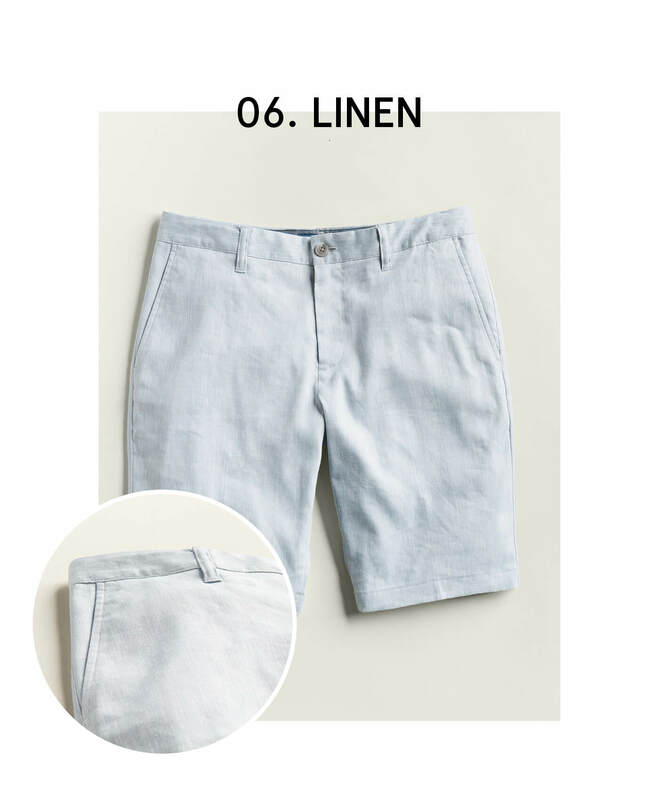 From beach trips to casual nights out, linen is a failsafe option for your summer. Stylist Tip: A white linen shirt is a staple that should be in every guy’s wardrobe. Cotton is a soft, fluffy fiber known for comfort. It is the most widely used natural fiber on the planet. 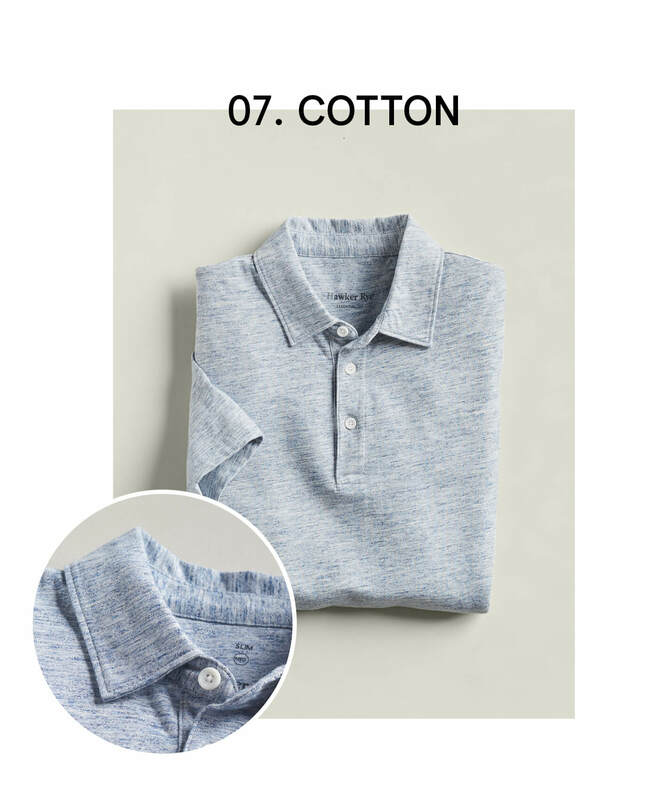 Cotton is widely popular for a reason—it does well in most climates and is extremely versatile for many different types of clothes and occasions. Stylist Tip: Don’t be afraid to keep it simple and wear a well-fitting cotton tee. When it comes for dressing for the heat, don’t sweat it. Use this guide to help you choose the right fabrics to keep you cool, calm, and collected—even if the temperatures rise to the dreaded triple digits. Ready to line your closet with some of these fabrics? Just schedule a Fix & you’ll be cool for the summer.